As we age so do our homes. The majority of seniors who are living independently in private real estate are living in homes that tend to be older than usual. Limited funds and declining health contributes to a rapidly deteriorating house. 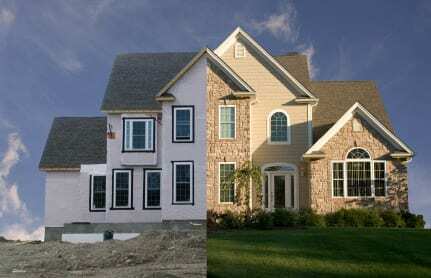 There are options to consider when rehabbing your home becomes a necessity. “There are a number of programs available that can help seniors with home repairs and improvement projects for aging-in-place, but what’s available to your dad will depend on his financial situation and where he lives. Here are some different options to explore. Medicaid waivers: If your dad is low-income and eligible for Medicaid, most states have Medicaid Home and Community Based Services waivers that provide financial assistance to help seniors avoid nursing homes and remain living at home. Many of the waivers pay for home modifications to increase a person’s ability to live independently. Each state has different waivers with different eligibility requirements and benefits. Contact your Medicaid office for more information. To find out if there’s a program in your dad’s area, contact the city or county housing authority, the local Area Aging Agency (call 800-677-1116 for contact information) or the state housing finance agency.